The Nigerian Association of Christian Schools yesterday said it would dump the West African Examination Council (WAEC) if its recent decision banning teachers of private schools from supervising its exams is not withdrawn. Addressing newsment in Jos, President of the body, Mrs. Ekaete Enang viewed the decision as a direct affront on Christian schools. According to her, most private schools in Nigeria are operated by Christians who uphold godly values and should therefore not be indicted along with those found to be into malpractice. Mrs. Enang said ACS stands for integrity and would never condone any form of malpractice both in internal and external examinations. She described malpractice ad the worst form of corruption, calling for the closing down of suspected schools. The body's President however called for the review of certain government policies that seek to deny Christian schools and children their constitutional rights. "There is an attempt to erode Christian values and education in Nigeria," she said. She cited the recent decision by government to make Arabic education compulsory and its unwillingness to offer grants to Christian schools as it does to Islamic schools as instances. She observed that even the recent review of the curriculum which was changed to expunge Christian Religious Studies from schools curriculum has not been confirmed to be implemented. 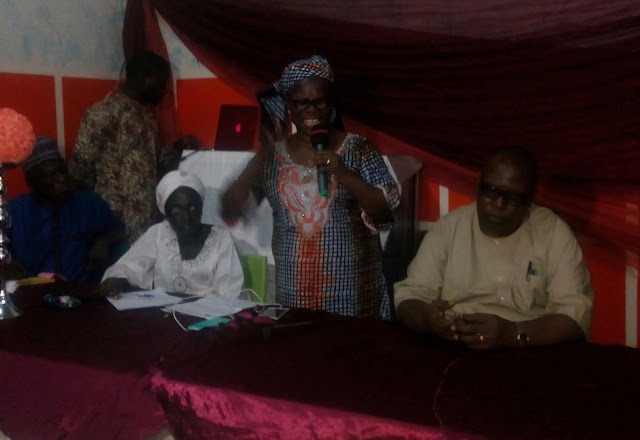 Mrs. Enang demanded that the curriculum be designed and approved by Christian schools and bodies while suing for the enrollment of Theological Educational graduates to teach the subject.